For all of the beauty and wonder that surrounds us, life also has unavoidable pain and difficulty. Even apart from my therapy practice, I don’t have to look far to find people experiencing pain in their lives. A friend of mine, a young father, recently finished chemotherapy and radiation treatment for lymphoma. Another friend’s son just had to withdraw from college due to a struggle with depression. One of my siblings is working hard to find a sustainable career path (with no clear answers in sight), and several people I care deeply about are recently divorced. My brilliant wife, deeply devoted to making a difference in the world, has felt kind of stagnant recently, even though she finds meaning in some of her endeavors. How can we respond in more meaningful ways to others’ suffering? 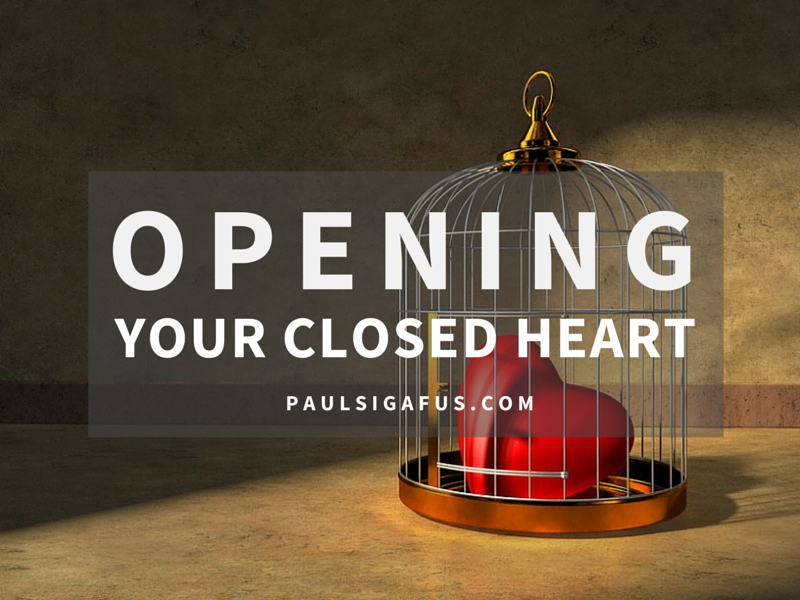 If we honestly desire to grow in this way, we first have to consider a few of the common barriers to having an open heart. Although we care about others who are facing challenges, sometimes we find it difficult to listen to the pain they are experiencing. One common obstacle to really being there with someone in pain is the sense of helplessness that comes over us—we don’t know what to say, or how to make things better. This feeling of helplessness can prompt us to avoid the difficult topics — “let’s just keep things light.” If we feel enough discomfort, we may even avoid our friend altogether. Then we can start feeling guilty for abandoning our loved one, or we may even progress to being resentful or blaming toward them; “What do they expect me to do, anyway?” Unfortunately, when we avoid the pain in another’s life, they can feel abandoned—and there are few difficulties that can’t be made worse by feeling alone. Do you get caught up in efforts to “fix” things when confronted with someone’s pain? Although “fixing” likely springs from some feelings of compassion, these efforts are usually also driven by our own discomfort with pain. We don’t like it when others suffer. Yet, so many challenges in life can’t be easily or quickly resolved. And when by getting caught up in trying to fix things (which may meet our needs to feel helpful), we can unintentionally lose touch with what our friend really needs: our heart and our humanity. If our friend doesn’t “feel felt” by us, he or she will end up feeling even more alone, despite all of our well-intentioned efforts. “Not fixing” doesn’t imply helplessness, passivity, or indifference—it implies courage, hope and resilience—it implies your belief that, given time and loving companionship, others can come through their problems and move forward. In my next post, I’ll explore how maintaining an open heart can expand your experience of life and love in frightening and beautiful ways.